The attorney general is conducting a Juul witch-hunt over fictitious fears the company is marketing to children. The action comes just as Wells Fargo Securities confirm that the latest Nielsen data shows Juul has increased its market share to a whopping 72.5%. Massachusetts is no stranger to witch-hunts; the state witnessed the infamous Salem witch trials in 1692 due to an outbreak of mass hysteria. Nineteen innocent women and girls went to the gallows, followed by around 150 more people over the following few months. It appears its Attorney General has learnt nothing from history. The New Nicotine Alliance (NNA) has applauded Sir Kevin Barron for vocalising his support for vaping. In a parliamentary Tobacco Control Plan debate, Sir Kevin spoke of his commitment to electronic cigarettes and called for the government to be more positive about the benefits of tobacco harm reduction products. 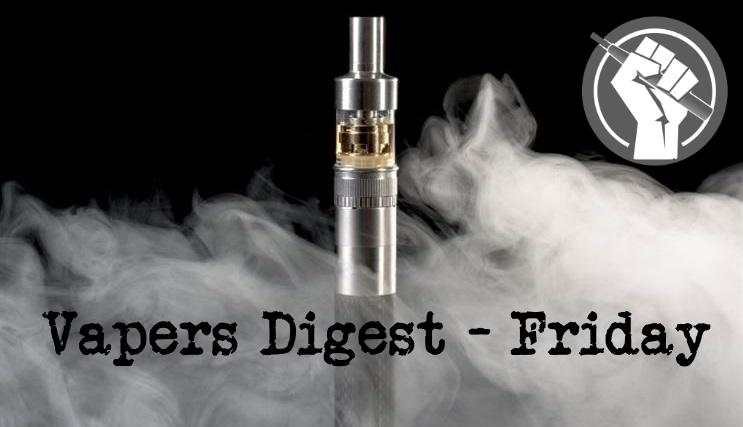 The debate took place on the 19th July in the House of Commons, where Barron highlighted the gulf between the UK and Ireland, two countries with identical traditional tobacco control policies but with differing approaches to e-cigarettes. While the number of American vapers declined over the last three years (as I reported here), e-cigarettes were still far more popular quit-smoking aids than medicinal nicotine or other drugs, according to researchers at the University of California San Diego (here). According to the Tobacco Atlas, about 6.5 Million South Africans continue to smoke cigarettes every day. Many smokers in South Africa are unable — or at least unwilling — to achieve cessation through complete nicotine and tobacco abstinence; they continue smoking despite the very real and obvious adverse health consequences. Conventional smoking cessation policies and programs generally present smokers with two unpleasant alternatives: quit or die. Warnhinweise auf rauchlosen Tabak- und E-Dampfprodukten sind kontraproduktiv. Research indicates that, over time, exclusive e-cigarette users (vapers) gradually reduce the nicotine concentration in their e-liquid and transition to more sophisticated devices. Alongside this, consumption of e-liquid increases and constant cotinine levels are maintained. We aimed to confirm these observations in 27 experienced vapers tested at baseline and 12 months later, by measuring nicotine absorption (via salivary levels of the nicotine metabolite cotinine; ng/mL), nicotine concentrations in e-liquid (mg/mL), volume of e-liquid consumed (mL per day), device types and flavours used, both at baseline and 12 months. Vaping has surpassed smoking as the preferred nicotine product among Americans under 30, according to a new poll by Gallup. And younger people’s attitudes toward vaping are much more positive than older groups. “Because young people have become much less likely to smoke in recent years, it’s possible that vaping is functioning as a substitute, which, if true, may have positive health implications,” says a report from the 83-year-old polling organization. When rolling out the multi-year plan, Commissioner Scott Gottlieb said that “the overwhelming amount of death and disease attributable to tobacco is caused by addiction to cigarettes.” Never was a more obvious statement more necessary, given the recent media hysteria over e-cigarettes. The Eliminate Cancer Initiative was established to reduce cancer. Perversely, its campaign to ban e-cigarettes will increase cancer rates. Queensland was the first state in Australia to incorporate vape products into law and treat them as if they were combustible tobacco products. To cement its place at the forefront of Australian idiocy, the state is cracking down on vaping and making seizures of imports. In Queensland, only those in possession of a licence or prescription are allowed to have nicotine juices. Anyone else importing, possessing or using an eliquid containing nicotine could have a fine of up to Au$10,400 (almost £6,000) fine imposed on them. British American Tobacco (BATS.L) plans to test its new Eclipse tobacco heating device in the United States this year, allowing it to pull ahead of Philip Morris (PM.N) in the world’s biggest vaping market. The use of e-cigarettes, or vaping, is much more prevalent among Americans under 30 than among those who are older, and is as common among these young people as the use of conventional cigarettes. Because young people have become much less likely to smoke in recent years, it’s possible that vaping is functioning as a substitute, which, if true, may have positive health implications. To this lifelong non-smoker, using electronic cigarettes (“vaping”) seems like a desirable and effective tool for weaning nicotine addicts off the toxic clouds of smoke with which they fumigate their lungs. I do understand why an educated observer might disagree — less so why the issue has become intensely partisan. Warning label may have misled..
That warning, however, obscured an important distinction — that cigarettes are much more harmful to health than smokeless tobacco products — and over the 30-plus years since, the American public has mostly been unaware that smokeless tobacco is much less harmful than cigarettes, one of the nation’s leading tobacco policy experts writes in a paper published recently in Harm Reduction Journal. A study published in the BMJ today will have the usual anti-vaping fanatics howling at the moon. It found that vapers were much more likely to attempt to quit smoking than those who don’t vape, and that they are 73 per cent more likely to succeed in quitting smoking when they do. It also finds a significant increase in smoking cessation in the USA that coincides with the rise of vaping. It’s been a very busy couple of weeks in Puddlecoteville, so like yesterday this is another I’ve had in my drafts just waiting for a time to write. You see, I’ve long believed that e-cigs carry the potential to expose the lies and hypocrisy of tobacco control, but the extent to which they are doing so has exceeded even my wildest hopes. Those vacuously opposed to vaping are screaming like stuck pigs at the moment as they see their mendacious house of cards about to come crashing down, and seem to be happy to throw their integrity down the drain.